Hey hey everyone - Happy Independence Day to my Americano Friends!! We're lucky to be in your fair country for the 4th of July - and we're on our way down through Utah today!! We drove through Yellowstone park yesterday and i took a million pictures. but - as everyone is loading up the van and i'm typing this furiously from the hotel room on the free, yet sketchy wifi - i'll be quick!! Weekly Challenge #274: "My Country 'Tis of Thee"
Because we were busy packing on Canada Day (July 1) we missed all the festivities - so This week's challenge is to show your countries colours! Create a tile inpsired by the country where you live! As i mentioned, we've been traveling in the States for the 4th of July weekend, and i'm pretty sure that my kids think that Americans shoot fireworks every night - as there have been fireworks each night when we put them to bed. Show your country pride this week! 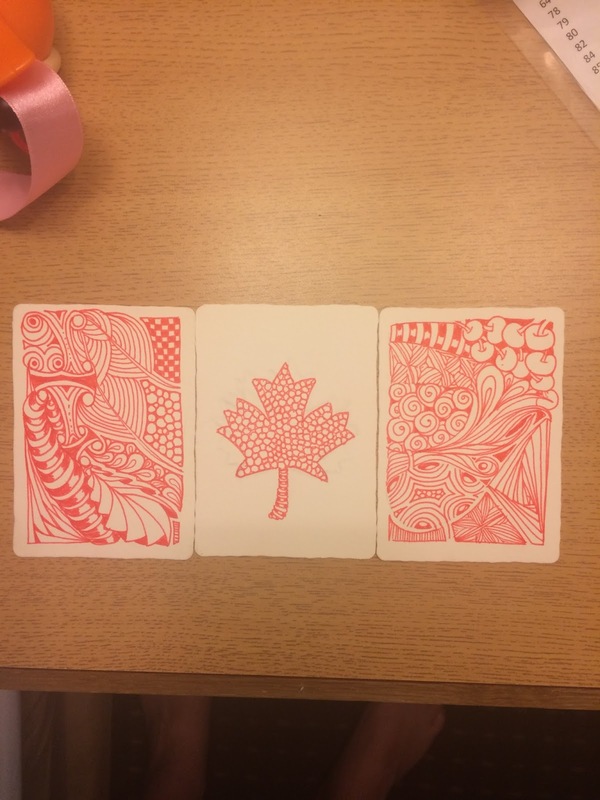 Here's my tiles - i used 3 Zentangle Artist Trading cards together to make my Canada Flag!! Have a great week!! you know what to do!! What a fun challenge, and clever to post it whilst on your trip. Hope you have a great time. Laura, this was a perfect challenge for today. And I love your Canadian Flag tangles. Very beautiful. Sounds like you're having a great time. California is cooling off, at least here in the North Bay area. Foggy last night. I love our natural air conditioning. :D I loved seeing the pictures of you and the boys at Yellowstone. What a treat. When I was a kid (well, probably in high school) we took a month long camping trip and went through there and on up to Canada. WOW! I was impressed. Have a great time on this trip. Chewie and Artoo will always remember it. First time I have had the nerve to enter but I do read the challenges every week only the second challenge I actually did. Love that you are here in my awesome state! Wish we could have gotten together! Welcome to the USA! I'm glad the Harms family was able to experience a Fourth of July here. Safe travels. 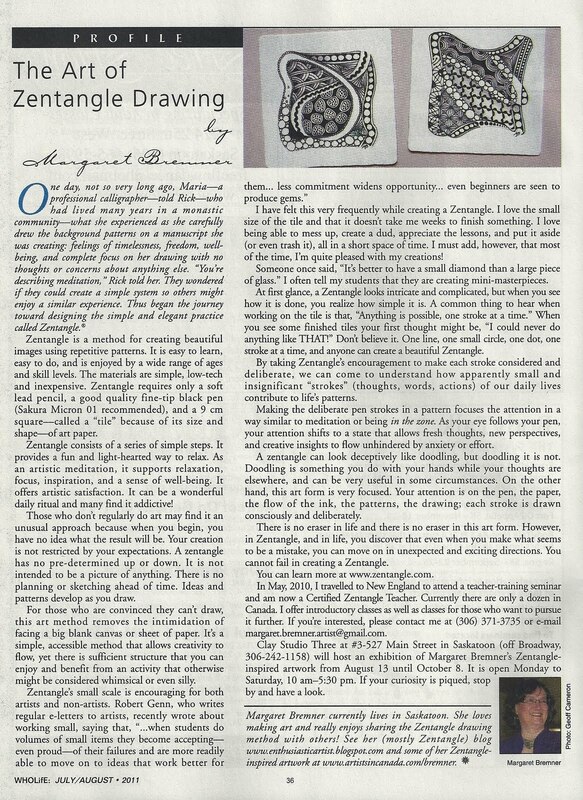 Thank you Laura for posting this interesting challenge during your trip in the U.S.A. I hope you and your family will have a wonderful time!!! Great challenge for such a celebratory week here in the US! Enjoy your vacation. Interesting challenge, especially for those of us living through the UK's identity crisis right now! It was very exciting completing my first challenge! Thanks for hosting! Great challenge and welcome to California. I hope you and the fam have a great time as well as a productive meeting. Sorry I keep entering my name twice... but I think this week (after doing it again) I have figured it out! Thanks for the challenge!